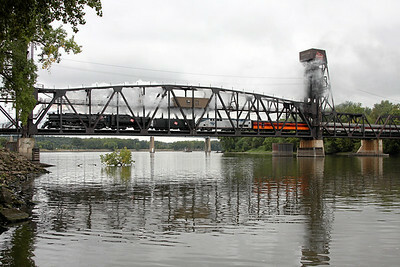 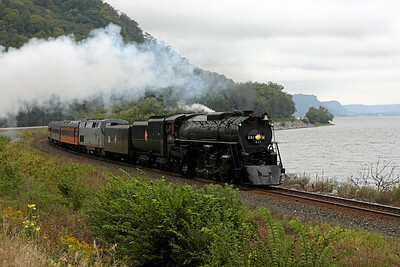 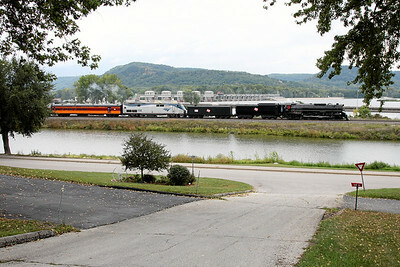 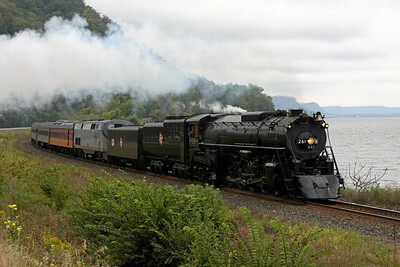 Photos from September 2008, featuring Milwaukee Road 4-8-4 #261 (Alco built 1944) with passenger excursions to Winona, La Crescent, and La Crosse celebrating Minnesota's Sesquicentennial (150th anniversary). 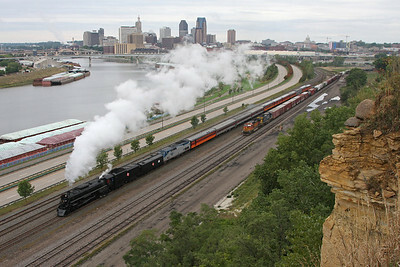 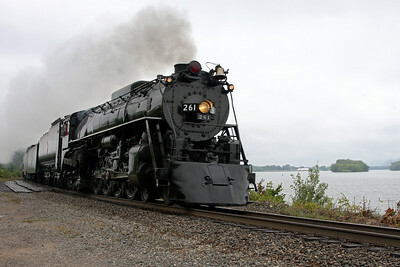 Additional photos of the 261 are available in the Milwaukee Road 261 on the Twin Cities & Western Railroad Gallery. 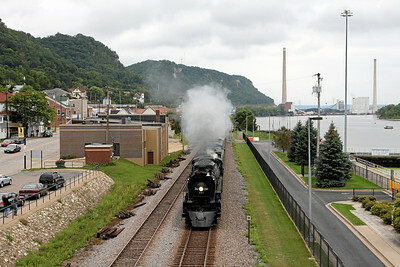 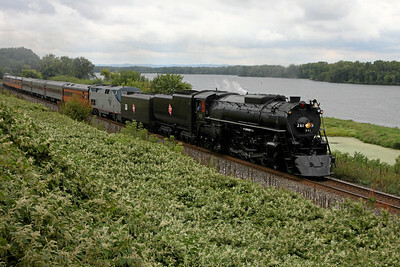 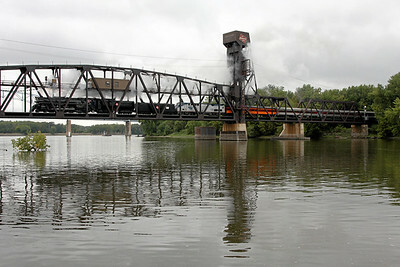 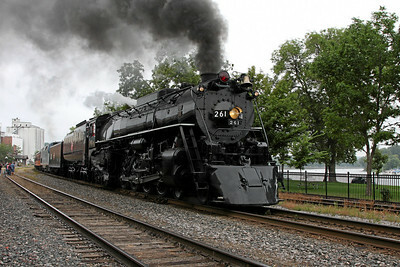 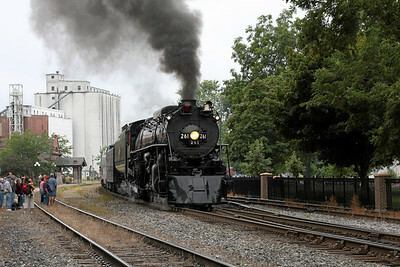 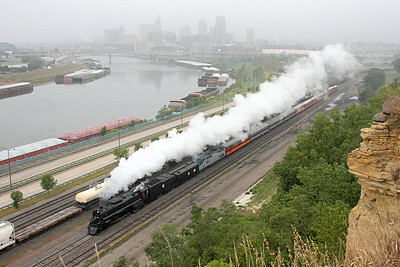 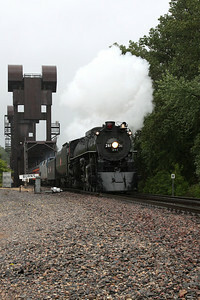 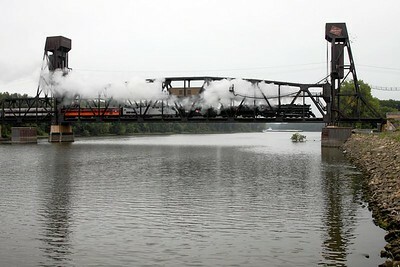 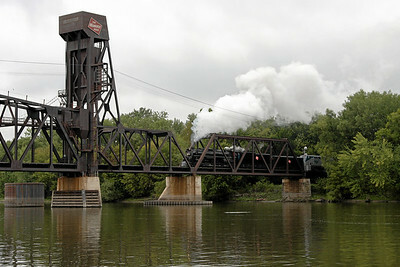 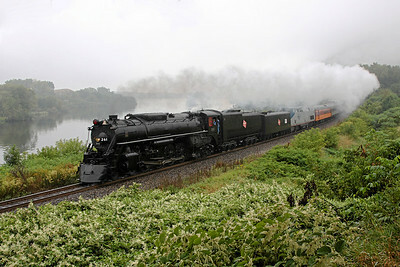 The locomotive is operated by the non-profit Railroading Heritage of Midwest America.